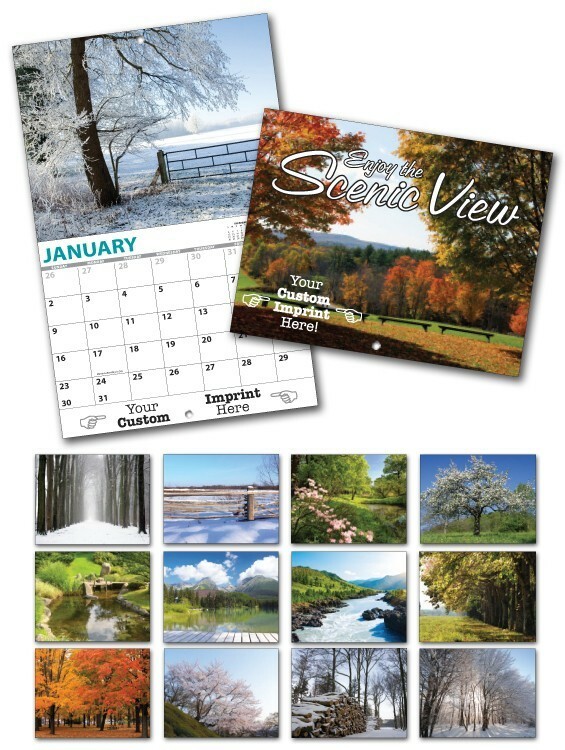 Create your own custom calendar using our stock SCENIC VIEW theme and personalizing the front cover, back cover and each calendar page with your custom imprint. Calendars are printed in full-color (four color process) on 80# Gloss Text. The cover is UV coated 8pt C1S. These calendars are 11x17 open and 8.5x11 closed. Bound by two stitches and have 1 hole drilled for easy hanging. Previous years photos available upon request.